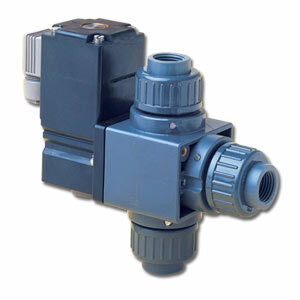 OMEGA™ SV-900 Series 3-way direct-acting solenoid valves incorporate a PVC body and EPDM seals as standard. The SV-900 is ideal for aggressive and ultra-pure fluids. A double PTFE seal isolates the coil system from the flow medium.